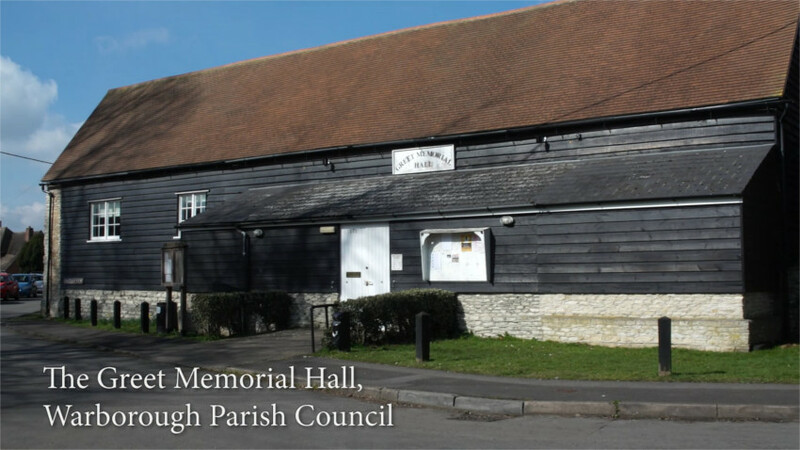 The Parish Council owns and operates the village hall, known as The Greet Memorial Hall. It is situated in Warborough on the corner of Thame Road and Sinodun View, a couple hundred metres north of the village church. It is used by a variety of clubs and societies and is also available for private hire. A full video tour of the hall is available below, covering layout, facilities and other hiring details. On agreement of hire, users will also be mailed a second video which walks through everything they need to know about access, using the hall and closing up after themselves. The Parochial Church Council operates a smaller hall opposite the church, known as St Laurence Hall – for bookings or more details please contact Pat Arnold on 01865 858948. A timetable of regular users of the hall can be found here with organiser’s contact details should you wish to enquire about joining the various classes on offer. If you wish to request to book the hall for a function, please check availability on the live calendar below. If the slot you want is shown as available, you can request to book it by filling in the application form– the system will alert the booking clerk who will then follow up as required. Bookings will always have at least one hour between them for the previous user to tidy up and next user to set up as required – this time is not charged but kept as a mutual buffer for both hirers. If you require more time before or after, please annotate on your booking form and the booking clerk will contact you to discuss. Full terms and conditions of hire, including policies on cancellation and damages are here.